Nearly four hours south of Prague, this fairy-tale town of 15,000 is buried in the hills of the southern Czech Republic, an area much appreciated for its pastoral countryside. With its delightfully cobbled Old Town, rare Baroque theater, and colorful castle, Český Krumlov feels lost in a time warp. The town has long attracted visitors. Tucked into a hairpin bend in the Vltava River, it was a safe, choice spot for Celtic, then German, then Slavic tribes to settle. 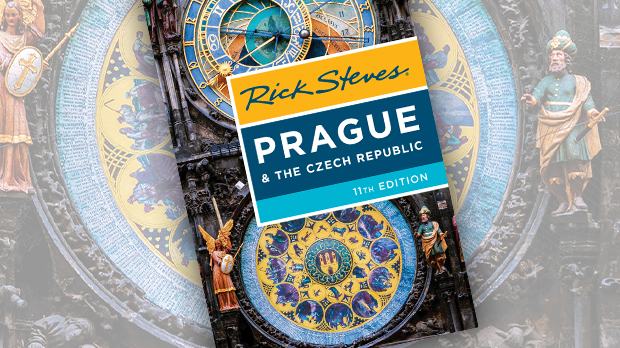 In the 16th century — the town's Golden Age — Český Krumlov hosted artists, scientists, and alchemists from all over Europe. These days, visitors set their sights on the mighty castle of the Rožmberk family, who ran the city from this perch for three centuries, until about 1600. The interior of the castle, which you can only visit on a one-hour escorted tour, gives a glimpse of the ultimate in Bohemian noble living through the ages. The castle has several other sights. The strikingly colorful round tower, featuring a 162-step climb to the top, was built to guard the medieval river crossing. Bear pits hold a family of European brown bears, as they have since the Rožmberks added these animals to their coat of arms in the 16th century. A 2,300-foot-long garden boasts a mix of French and English styles. The castle's highlight is the Baroque Theater, where guests of the noble family would go for evening entertainment. A guided tour takes visitors under the stage to see the wood-and-rope contraptions that enabled scenes to be scooted in and out within seconds while fireworks and smoke hid the action from the audience. Baroque theater was all about melodrama, created with lighting, perspective, and sound effects. Machines were used to simulate a horrifying wind, driving rainstorm, and menacing thunder. But the use of candles and pyrotechnics for special effects took their toll. Europe once had several hundred Baroque theaters, but most burned down. Český Krumlov's theater is one of only two that survives in good shape and is open to tourists (the other one is in Stockholm). Across the river from the castle is the made-for-strolling Old Town. Gothic buildings curve with the winding streets. Many precious Gothic and Renaissance frescoes were whitewashed in Baroque times, when the colorful trimmings of earlier periods were way out of style. Today, these frescoes are being rediscovered and restored. At the heart of the Old Town is the main square, lined with a mix of Renaissance and Baroque homes of burghers (all built on 12th-century Gothic foundations). Lékárna, with a fine red Baroque facade on the lower corner of the square, is still a pharmacy, as it has been since 1620. McDonald's tried three times to get a spot here but was turned away each time. The Puppet Museum features more than 200 movable creations and a model stage, where children of any age can try their hand at pulling the strings on their favorite fairy tale. 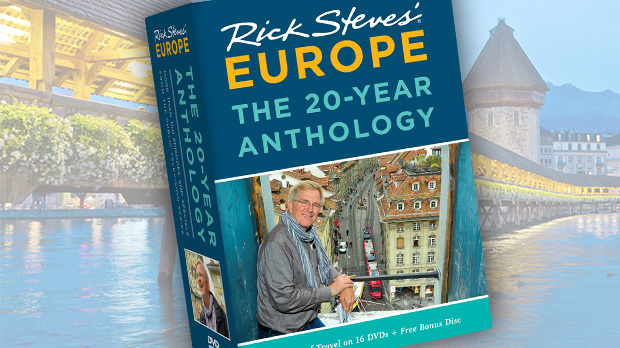 The Vltava River beckons to those with an adventurous spirit. One of my favorite activities here is to rent a canoe and go for a three-hour float down the dreamy river, through Bohemian forests and villages, past cafés and pubs happy to welcome paddlers for a break. The destination? A 13th-century abbey. From here, the rafting company shuttles you back to town or provides you with a bicycle to pedal back along a bike path. Those with less time can still hit the water by taking a half-hour float around the city's peninsula. 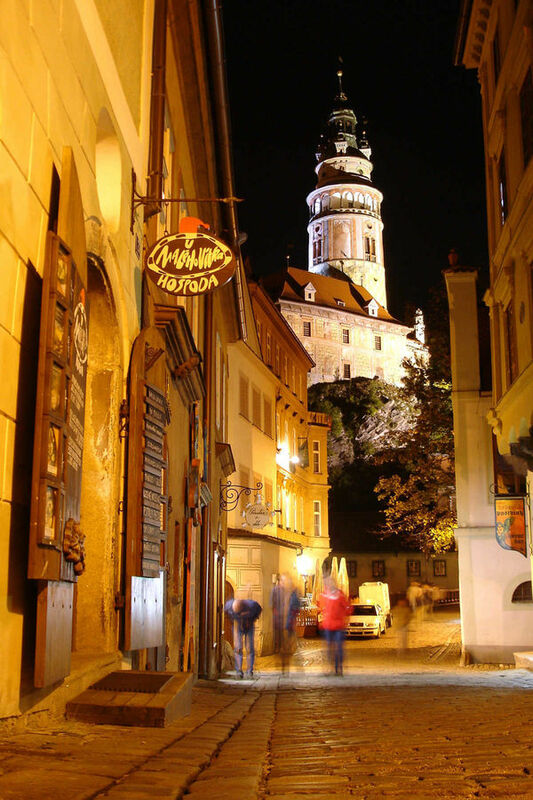 While Český Krumlov can be done as a day trip from Prague, evenings here are wonderfully atmospheric. One of the liveliest places in town is the Gypsy Pub. Unlike other cities in Eastern Europe, where Romas (Gypsies) tend to live in segregated ghettos, Český Krumlov boasts a proud community of about 1,000. The easiest way for a traveler to experience the traditional Roma culture is through its lively music — always crowd pleasing and fiery. Several big summertime festivals bring the city to life. At the Celebration of the Rose in June, locals celebrate their medieval roots (and drink oceans of beer) as blacksmiths mint ancient coins, jugglers swallow fire, mead flows generously, and pigs are roasted on open fires. The summer also brings a top-notch international jazz and alternative music festival to town, performed in pubs, cafés, and the castle gardens. 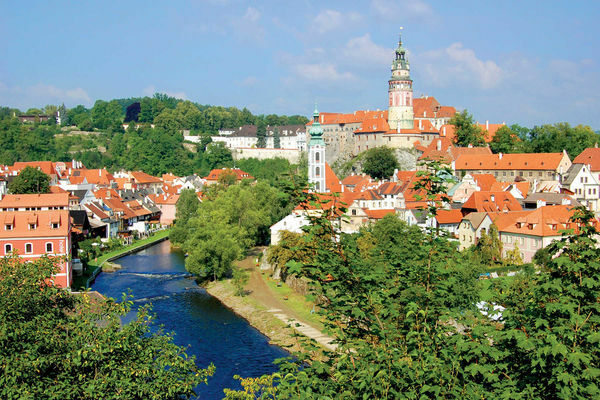 Once you see Český Krumlov, it's not hard to understand why this is the Czech Republic's second-biggest tourist magnet. With its simple beauty and wonderfully medieval feel, Český Krumlov is the quaint, small-town Europe that many people dream of experiencing.